Twitter may not be up for sale or even a public company, but that hasn't stopped SharesPost announcing that it thinks the micro-blogging site is worth $4 billion (c£2.5 billion). SharesPost is a bit of an oddity in stock market circles. Founded in 2009, it allows you to buy bits of a private company that is yet to float. Out of the 100 or so companies on the secondary market, there are many technology sites you can buy into including Google, Facebook, Groupon, LinkedIn and now Twitter. Because of the way the market works, prices for companies are usually built on a lot of rumour, speculation and a smattering of hype. Twitter has had a whole lot of the above because of its heady rise through the social-networking ranks, and this has led SharesPost to value Twitter, according to Mashable, at a whopping $4 billion. To put into context how changeable the value of a company can be, in the spring of 2010 SharesPost valued Facebook at $1.6 billion. Fast forward to Goldman Sachs investing a reported $1 billion into the company for a one per cent share and this value has now been inflated to $50 billion with some even saying £75 billion. 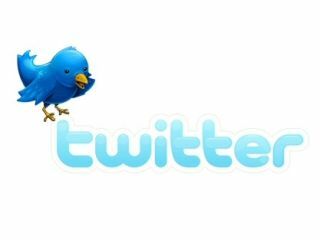 Whatever the price of Twitter, its revenue is set to grow massively in 2011. Website eMarketer is reporting that the service will earn around £95 million this year, which is triple what it made in 2010.